Lent is quickly coming to a close. One more week of needing something meatless on Fridays for the family! Although, if I am going to be truthful, I love to have a meatless meal each week all throughout the year. It just isn’t always on Friday! 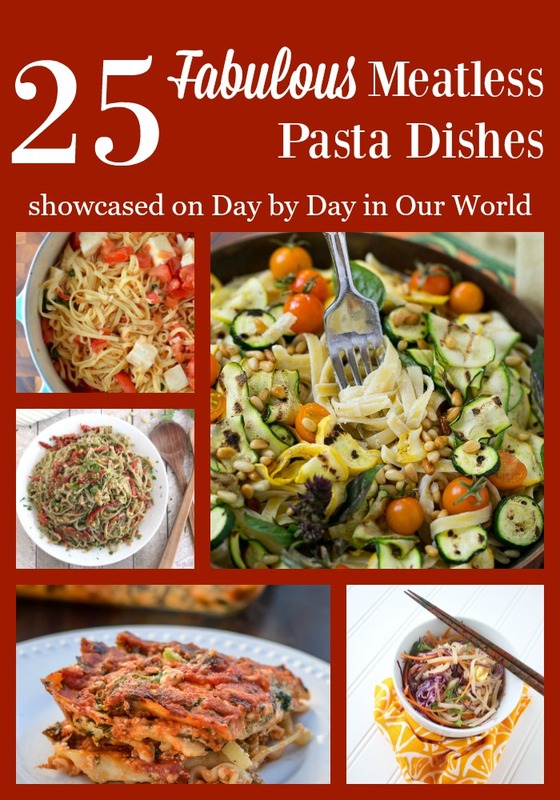 Today, I thought I’d share a fantastic list of pasta dishes for meatless meals that can be your meal whether it is Lent or not. 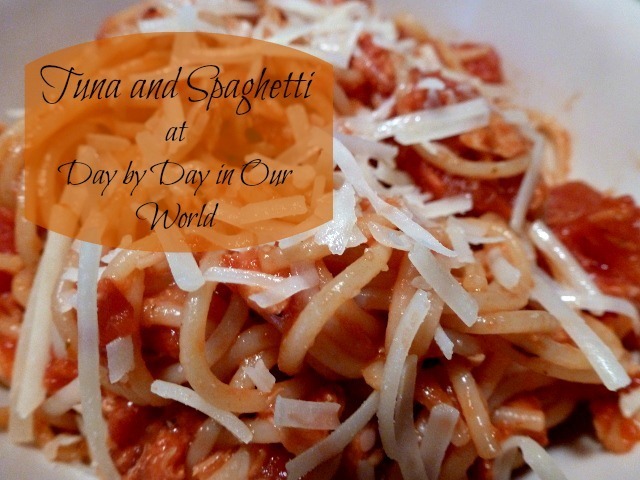 First, I have a fabulous and easy pasta dish which we love both on Fridays in Lent and during the year for a quick lunch: Tuna and Spaghetti. I have a few others that I remember my Nana making over the years. I just haven’t had time to make and photograph them yet. Here are 24 other pasta dishes that will tantalize your taste buds and provide an option for meatless meals. 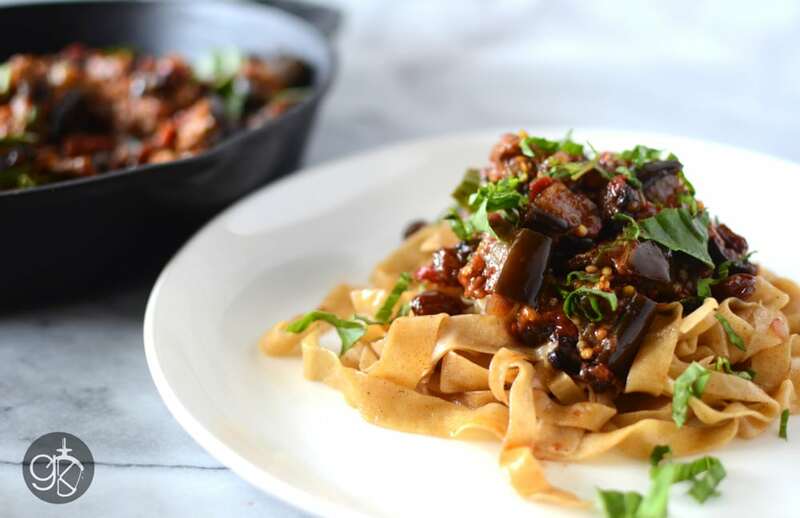 Roasted Eggplant Caponata with Brown Butter Pasta from The Flavor Bender Eggplant is a vegetable I love, but rarely make. This dish is calling my name! 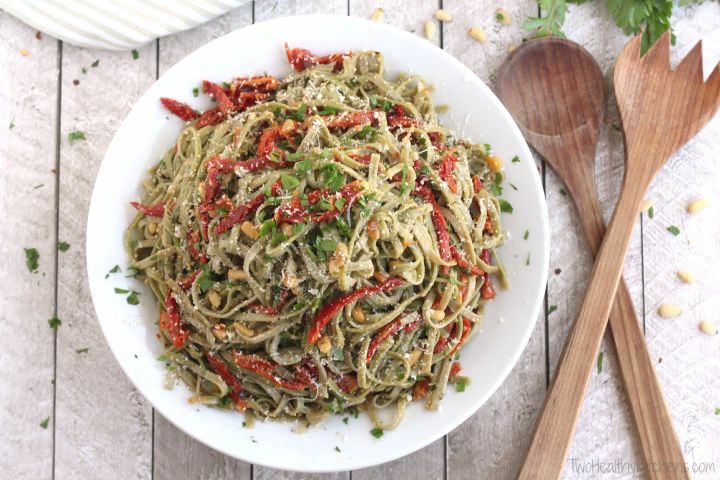 Spinach Spaghetti with Sun-Dried Tomatoes from Two Healthy Kitchens Sun-Dried tomatoes add such a wonderful depth of flavor to any dish. Spaghetti with Bread Crumbs from Platings and Pairings My carb-loving boys can even make this one! Avocado Pesto Pasta with Roasted Chickpeas from Emilie Eats Avocado is one of my favorite ‘new’ foods and chickpeas deserve to be in more things than your salad. Veggie-Packed Pad Thai from Scratch Eats I love Pad Thai and can’t wait to try this one! Counter-Marinated Tomato and Garlic Pasta from Jessica N Wood This dish looks incredible and perfect for my family! Easy Vegetarian Lasagna with Spinach and Ricotta Cheese from The Women Talk Lasagna is a favorite and I need to introduce my boys to the idea of one without meat. Pumpkin & Kale Stuffed Shells from Veggie Inspired Journey This one looks SO interesting to me. 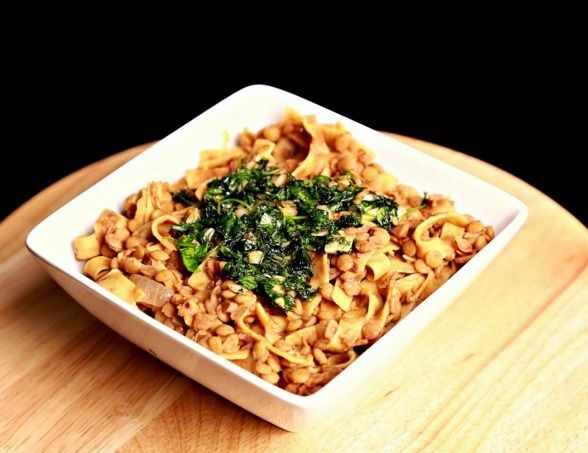 The boys are not huge kale fans, but this dish might get a thumbs up from them. Sweet and Sour Lentils with Pasta (hora osboa) from Nutrizonia Lentils are a favorite source of protein in our house when we go meatless. Can’t wait to try this one out. Zucchini Fettuccine Alfredo from Dinner at the Zoo This dish looks beyond amazing and I think my boys would love it almost as much as my husband and I will. 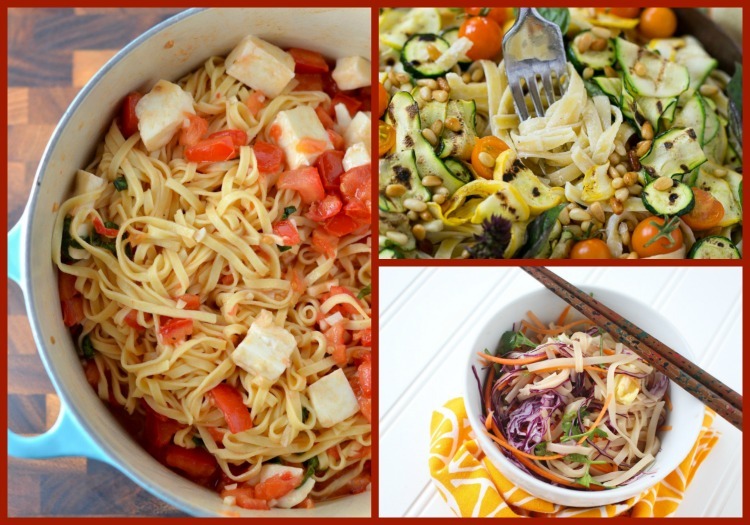 What are some ways that you enjoy meatless pasta dishes? Any favorite toppings for the pasta? Yay for pasta! Thanks for including my Pumpkin and Kale Stuffed Shells! Sharing! I am more than happy to share recipes from others. I adore kale, but have never tried it with pumpkin. The stuffed shells look wonderful to me. They all look so yummy I don't know where to begin! We have done spaghetti squash a few times this Lent, but I think I need to step it up a notch with one of these. Fantastic round up! so many delicious choices can't wait to get cooking. Thanks so much for including our Creamy Kabocha Truffle Pasta. So many dishes here that are quite appealing to me. I'll have to bookmark this, so good looking.